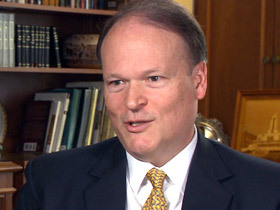 BOB ABERNETHY, host: We have a special report now on the Church of Jesus Christ of Latter-day Saints, the Mormons. In recent years, many Mormons have left the church because, they said, they could no longer trust the accuracy of some of what they had been taught. Now, over the past year, the church has commissioned straightforward essays about its most controversial teachings, and posted them online for everyone to see. The result has been mixed, as Deborah Potter reports from Salt Lake City. DEBORAH POTTER, contributing correspondent: On a Sunday morning in Salt Lake City, as faithful Mormons arrive for church services, self-described Post-Mormons crowd a local coffee shop. WOMAN: I still got most of my family in the church. POTTER: Born and raised in the Church of Jesus Christ of Latter-day Saints, these men and women are among tens of thousands who have turned away from Mormonism and are learning to navigate a sometimes confusing new world. WOMAN: When you go out of the church and try to have adult relationships with people, it’s just so interesting because all of a sudden you're just kind of a moron, right? And stupid things, like ordering coffee, it took me the longest time, I just stared at the coffee board and then I felt stupid. I didn’t want to ask the barista, what is coffee? POTTER: Because Mormons are banned from drinking coffee and tea, the group's choice of a weekly meeting place marks a clear break with their past. But it's more than just symbolic. EDWARD HOEFER (Post-Mormon): It also makes it easier for people who have left, but their families don’t know that they’ve left. They know that if they go to a coffee shop, it’s very unlikely that word is going to get back to their family. POTTER: Like many young Mormon men, Edward Hoefer served his church as a missionary. But in his late 20s, he started to doubt what he'd been taught. HOEFER: Eventually I decided, okay, well, let’s examine some of these doubts. Let’s look at some of these questions objectively. And as soon as I started doing that, things unraveled very quickly and I realized I couldn’t believe anymore. POTTER: The church teaches not only the Bible, like other Christian faiths, but also its own scriptures. The Book of Mormon, it says, was revealed to the church's founder, Joseph Smith, when God and Jesus Christ appeared to him in upstate New York in 1820. According to Mormon teaching, Smith also translated another text, the Book of Abraham, from the Old Testament prophet's own writings on an Egyptian papyrus. But scholars say the surviving fragments are from an ordinary funerary scroll, and in the age of Google that information is easy for questioning Mormons to find. JONATHAN BEST (Port-Mormon): It was an old papyrus, not nearly as old as they said it was, it wasn’t written by Abraham, it wasn’t even about Abraham. And so that sort of knocked me upside the head. I really had to reevaluate everything at that point. It was shocking to me, but I did. 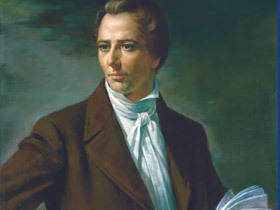 POTTER: Another shock for many Mormons was learning that Joseph Smith took as many as 40 wives—some of whom were married to other men—and didn't always tell his first wife, Emma. One of the new wives was just 14. MAN (Post-Mormon): Joseph Smith being a polygamist, back in the 1980s when I was a teenager in the church that would have totally gotten you kicked out. That was total heresy. ALISON UDALL (Post-Mormon): You feel this sense of betrayal. How could the church not have told me this when so many of these facts and details were out there? I mean, you know, there’s historians who have written about this now for years. This is not a matter of new factual information that’s come out. POTTER: Alison Udall married a returned missionary in a Mormon temple and raised four children in the faith before quitting the church in her mid-40s. UDALL: Even though I know it was right and I was ready, it was also very emotional grieving kind of process for me to let go and realize it was time. POTTER: How do you feel today? UDALL: I feel great. I feel a huge sense of relief. POTTER: It's hard to know how many others have left. The church only tracks those who formally withdraw, and officials say that number is shrinking. But by some estimates, 50,000 members or more drop out every year in the United States alone. 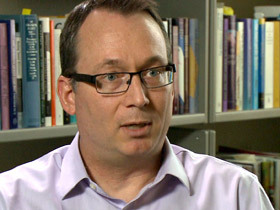 PROFESSOR W. PAUL REEVE (University of Utah): There is a sense that most people know someone in their own families or their congregations who are, you know, either leaving the faith or having serious questions or doubts or going through a faith crisis. POTTER: Church leaders insist there's no crisis in the faith but they are taking the defections seriously. For the first time, the church itself has gone public with some of its most contentious history, quietly posting a series of essays on its official website. Users have to look or search for the essays. They're listed as "Gospel Topics." One acknowledges that early Mormons were not just victims of violence but also perpetrators, which the church initially denied. Other essays explain how church practice has changed, from promoting polygamy to forbidding it and from banning blacks in the priesthood to accepting them in 1978. POTTER: Scholar and faithful Mormon Paul Reeve helped write the essay on race. 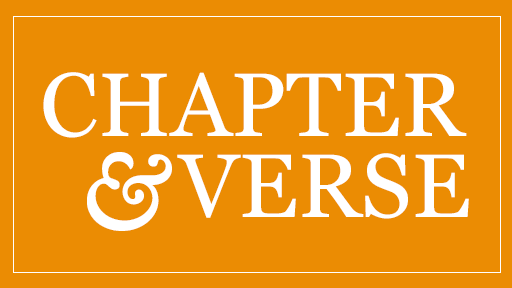 REEVE: These are pretty dramatic changes for Mormonism, but Mormons make sense of them all within the context of continuing revelation, that the leader of Mormonism can receive revelation from God and change things from how they’ve been done in the past. ELDER MARCUS NASH (Church of Jesus Christ of Latter-day Saints): The way I look at it is history is history, and history is made up of ordinary people. And the history of this church is made up of ordinary people who did extraordinary things because of their faith in God and their willingness to follow him. POTTER: Elder Marcus Nash, a top leader of the church, has shepherded the essay project, which he says has drawn him closer to God. NASH: We want people to understand the history of this church. That’s why these essays have been written. And as they are written in a transparent and honest way, I’m confident people will have the same kind of experience I’ve had, that your faith will deepen and you’ll grow in understanding of how God works with ordinary people. POTTER: For Laura Harris Hales, learning history she'd never been taught led her to co-write a book on Joseph Smith's polygamy. But most believing Mormons don't dig that deeply. 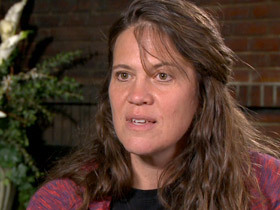 LAURA HARRIS HALES (Co-Author, Joseph Smith’s Polygamy): I think it’s necessary to get the information out there to, we call it, inoculate people so that they won’t be shocked when they hear these things. It takes a long time to process this information. It’s really difficult information. I think the difference for me is that my testimony was strong, and it was something I wanted to hold on to. REEVE: The average Latter-day Saint gets his or her version of LDS history from Sunday school. That’s just the bottom-line fact. And until this information, you know, trickles down to the Sunday school level, the seminary level, the institute level, the BYU religion department level, then it’s not going to reach the average Latter-day Saint in the pew. POTTER: Church officials say they're working on spreading the word about the essays. They're also preparing one more on the role of women in Mormonism, but no one expects it to mark the end of the all-male priesthood. Some Post-Mormons welcome the church's effort to explain itself. Others dismiss it as damage control that could backfire. HOEFER: When you’re doubting and questioning about one thing and then you go to these essays for help, they talk about a whole lot of other issues that you haven’t even heard about. Some people will accept the essays and will look at them and be comforted, but I think other people will just, it’ll just accelerate their process. POTTER: Leaving is not easy, though. Being Mormon is a way of life as much as it is a religion, and a central tenet of the faith is that families are eternal. Many who walk away feel cut off from relatives who stay. BEST: There’s a real sense of demonization of the people who are not in the church, especially those who leave the church. REEVE: The messages that I’m hearing from some of the leadership are that, you know, you should love them, not assume that this is simply a result of their sinning, and the questions are, you know, an aspect or an outgrowth of that, but they are just having legitimate questions. If people at the congregation level can adopt those kind of attitudes, I think it will make these kind of issues at least more manageable. POTTER: For now, many Post-Mormons have formed a new community with others who have left the church behind. According to a national survey, the vast majority of those who have walked away have not found another faith. 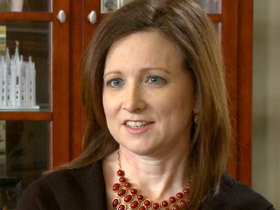 For Religion & Ethics NewsWeekly, I'm Deborah Potter in Salt Lake City. For the first time, the Church of Jesus Christ of Latter-day Saints has responded publicly and openly to some of the most contentious issues of its past, quietly posting a series of essays on its official website in response to large numbers of young Mormons leaving the church because they no longer believe in the accuracy of LDS history and teaching. Contributing correspondent Deborah Potter spoke with a Mormon church elder about what he hopes the essays will accomplish, and also with former Mormons or “Post-Mormons” trying to adapt to the world outside the Mormon church.